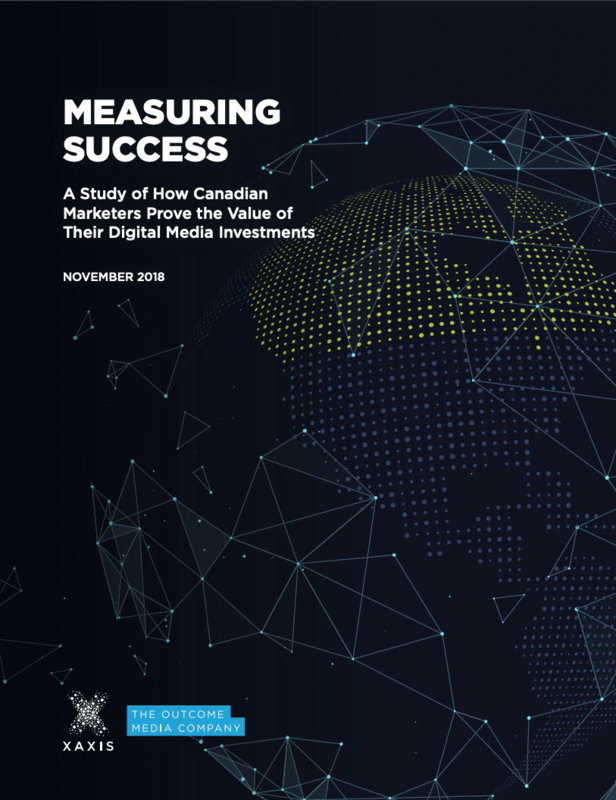 In September 2018, Xaxis commissioned a survey of 501 marketers in Canada* who are responsible for digital media spend. The goal was to assess marketers’ attitudes towards the metrics used to determine the success of their digital media strategies. The survey asked about traditional media metrics as well as outcome-driven media. *The global survey was conducted via an online survey in September 2018 among 4,798 digital brand marketers across global markets: US, UK, Germany, Italy, Spain, Denmark, Sweden, Norway, Poland, Argentina, Canada, Mexico, Australia, China, India, and Singapore.